$7.70 /EACH (4" x 150' Roll) Local pickup and direct shipping anywhere in the USA. PermaBase® brand Cement Board Tape conceals and reinforces joints between PermaBase brand Cement Board. 4″wide polymer-coated (alkali resistant) fiberglass mesh tape for exterior applications. 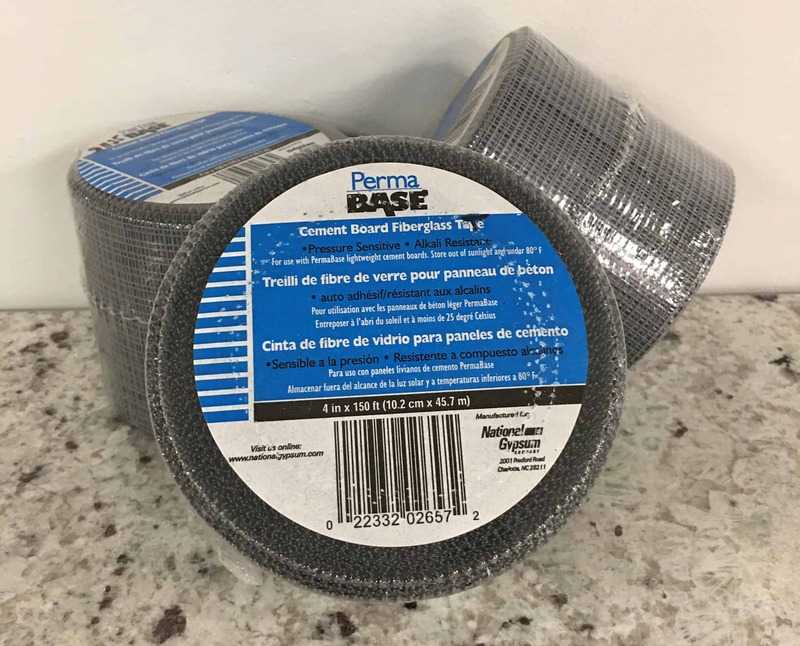 PermaBase® brand Cement Board Tape conceals and reinforces joints between PermaBase brand Cement Board. 2″ wide polymer coated (alkali-resistant) fiberglass mesh tape for interior applications and 4″wide polymer-coated (alkali resistant) fiberglass mesh tape for exterior applications. Alkali resistant for long-term performance in cement board applications. Works in dry and thin-set mortars. Fiberglass mesh increases joint strength.